Our dynamic and engaged board members help take Pittsburgh Life Sciences Greenhouse and the companies we nurture to greater heights. Jim Jordan is an accomplished Fortune 20-level executive with strong experience in industry, consulting and academia. 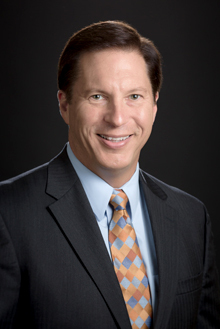 A recognized expert in translational innovation, market development, and guiding the successful formation of entrepreneurial startup businesses in the Life Sciences Industry, Mr. Jordan joined the PLSG in 2005, became Vice President and Chief Investment Officer in 2007, and was named President and Chief Executive Officer in 2016. Prior to joining the PLSG, Mr. Jordan served as Senior Vice President of a $3.0 billion division of McKesson Corporation, a leading distributor of healthcare systems, medical supplies, and pharmaceutical products, and as a Vice President for Marketing at Johnson & Johnson, one of the world’s largest consumer products and healthcare companies. He has held a range of management positions in sales and marketing, operations, supply chain management, information technology, finance, and quality assurance with several Fortune 500 medical device companies, including C.R. Bard, Inc. and Boston Scientific, Inc. Mr. Jordan has leveraged this experience in several startup ventures and is active on several Boards of Directors, including the Pittsburgh Venture Capital Association. Mr. Jordan’s experience, which also includes consulting engagements with numerous companies such as Medtronic, Frost & Sullivan, Circuit City, Philip Morris, Northrop Grumman, Schwartz Pharmaceutical, and Otsuka Pharmaceutical, is documented in his book, titled Innovation, Commercialization, and Start-ups in Life Sciences, published by CRC Press ©2015 by Taylor & Francis Group Ltd., which is available on www.amazon.com. This university textbook details the necessary data, partnerships, and skills to be acquired and the constituencies that must be satisfied along the way to a successful exit. Mr. Jordan previously served as an Adjunct Associate Professor at the Robins School of Business at University of Richmond, where he taught Introduction to Managing Projects, Advanced Project Management, PMP Certification Test Preparation and Project Risk Management. Mr. Jordan joined Carnegie Mellon University’s Heinz College of Information Systems and Public Policy in 2005 and serves as Sr. Director and Distinguished Service Professor of Health Care and Biotechnology Programs, and also as Strategic Board Chairman-Center for Healthcare Innovation. He holds a Bachelor of Science Degree in Business Administration from Merrimack College and a Master of Business Administration degree from Boston University. Most recently, Mr. Jordan co-authored The Intellectual Property Pyramid Assessment: A Novel Method for Creating a Sustainable Competitive Advantage, a new workbook and method designed to help individuals, companies, investors, and patent attorneys develop comprehensive IP strategies, assess the strength of existing IP portfolios, and create a significant competitive advantage. The IP workbook is soon to be published and will be available on www.amazon.com. John L. Brooks III – John was formerly the President and CEO of Joslin Diabetes Center in Boston. He co-founded Prism Venture Partners in 1996, bringing a wealth of strategic, clinical, operational and financial expertise to the firm. Prism completed five funds with $1.25 billion in assets under management. John was formerly General Manager at Pfizer/Valleylab where he developed and executed a minimally invasive surgery strategy, and with Pfizer/Strato he led the growth of a rapidly evolving vascular access medical device business. He has co-founded five life sciences companies including Insulet (PODD). John also founded Healthcare Capital, offering consultation services to early-stage companies, and currently is a member of the Board of Directors and Audit Committee of the PLSG and a member of the Advisory Board of the PLSG Accelerator Fund. John is a CPA and a CFP. Our experts integrate knowledge of industry trends and national networks to support promising biosciences companies and innovations. Diana Cugliari serves as Vice President of Finance for the Pittsburgh Life Sciences Greenhouse (PLSG) and Director of the Accelerator Fund, LLC, overseeing the complete financial operation of the organization. Her experience in guiding portfolio companies, coupled with her sharp business acumen, has served her well during her time at the PLSG. Since joining in 2012, Ms. Cugliari has filled many crucial roles within the business, having assisted in grant proposal writing, branding and marketing, incubator management, IT network management, and controller duties, among other tasks. Prior to assuming the post of VP of Finance for PLSG overall, Ms. Cugliari had served as Associate Director of the Accelerator Fund, an early-stage venture capital fund focused on high impact investments in the life sciences and health care sectors. Ms. Cugliari’s most recent prior position was Senior Investment Manager, responsible for providing strategic and tactical guidance during a company’s crucial formative stages while also assisting in the fundamental business strategy for PLSG’s growing portfolio company roster. In addition, she identified funding strategies and sources of potential capital. 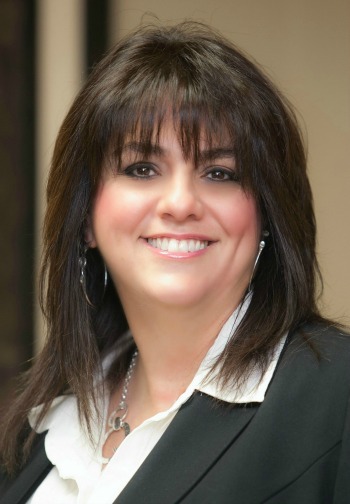 Prior to her time at the PLSG, Ms. Cugliari ran The Money Tree Financial Corporation, a startup providing mortgage banking products and solutions. She expanded the company footprint from a one-state licensed mortgage broker to a 10-state mortgage banking operation, generating annual sales in excess of $170 million. Ms. Cugliari earned her Bachelor of Arts in Economics from the University of Pittsburgh and her Master of Business Administration degree from the Joseph M. Katz Graduate School of Business, University of Pittsburgh. 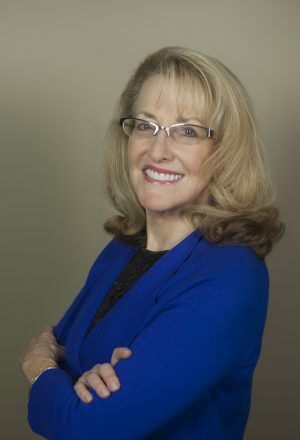 Diane Hill is a highly creative marketing professional with 20+ years of experience providing strategic marketing solutions to the Medical Industry. She has built a successful consulting practice, LDI Marketing, Inc., and is currently working with the Pittsburgh Life Sciences Greenhouse to assist organizations with their strategic marketing needs. Ms. Hill is an independent thinker who thrives in unknown territory, quick to assess market opportunities, and excels at market analysis. Whether product positioning, re-branding or creating new market niches for mature products, she has consistently delivered bottom line results for her clients. Ms. Hill’s background includes domestic and international product marketing, with extensive clinical experience and physician interaction. She has successfully managed a $100M product line and 75-member global team. Advertising agency experience has enhanced this marketing management know-how; working directly with clients to develop strategic marketing plans, brand development, and creative campaigns consistent with business objectives. Ms. Hill has held a range of positions in sales and marketing management with several Fortune 100 companies including: Baxter Healthcare Corporation, American Hospital Supply, C.R. Bard Corporation and Electronic Data Systems. She has also work for several medically focused advertising agencies, including Interpublic Group. Ms. Hill has consulted with numerous companies including: Regeneration Technologies, McKesson Corporation, Johnson & Johnson, Boston Scientific, and Medtronic. She has provided strategic direction for many start-up ventures, such as: InSitu Biologics, PneumRx, and CIRCA Scientific. 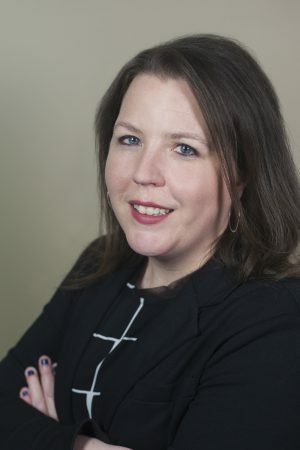 Ms. Hill holds a Bachelor of Science degree in Business Administration from Central Michigan University and a Master of Business Administration degree from Michigan State University. As Executive Assistant to Jim Jordan and Office Manager at the Pittsburgh Life Sciences Greenhouse, Megan Mough brings the perfect blend of administrative expertise, business acumen, and familiarity with life sciences to the role. She is responsible for providing assistance to the CEO to maximize his impact within the organization and the larger community. Ms. Mough also works with the PLSG team and Board of Directors as needed in working with early stage therapy and medical device companies with the goal of helping those companies achieve successful commercialization. Prior to joining the PLSG, Ms. Mough served in several roles in the Department of Neurobiology in the University of Pittsburgh School of Medicine, the most recent of which was that of Personnel Administrator. She earned a BA in Communication Studies and Psychology from Duquesne University and a MBA with a concentration in Human Resources Management and Organizational Behavior from the Joseph M. Katz Graduate School of Business at the University of Pittsburgh. Dr. Safferstein joined the PLSG in 2007 and is now also Senior Vice President of Cognition Therapeutics, a PLSG portfolio company. He served as Vice President of Business Development for Omrix Biopharmaceuticals, a commercial-stage company that develops and markets biosurgical and passive immunotherapy products. Prior to joining Omrix, he was Executive Vice President of Corporate Development for TransPharma Medical, a privately-held medical device company. From 2001 to 2005, Dr. Safferstein was Vice President of Business Development for Acorda Therapeutics, a central nervous system drug development and marketing company. Prior to joining Acorda Therapeutics, Dr. Safferstein served in various business development and marketing positions with Bristol-Myers Squibb, a multinational pharmaceutical company. From 1991-1997, he was Director of Technology Transfer at the National Heart, Lung, and Blood Institute and Cooperative Venture Manager for the National Institute of Allergy and Infectious Diseases, National Institutes of Health. Dr. Safferstein was an NIH Post-Doctoral Fellow and Fellow of the Multiple Sclerosis Society. He received a BA in Biochemistry from Rutgers University, a PhD in Human Anatomy and Neurobiology from the University of Louisville, a JD from the American University, Washington College of Law and an MBA from Columbia University. Ms. Varughese manages the PLSG’s investment portfolio and, along with the Executive-in-Residence team, works with entrepreneurs and emerging startups to provide the strategic support necessary for their commercialization success. She leads the PLSG’s market research efforts and also manages the PLSG’s Internship Program, a year-round program offered to students of Masters and PhD programs from local and national universities. 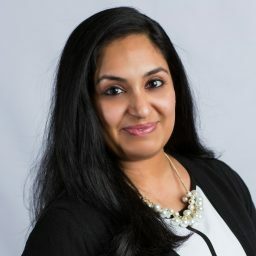 Ms. Varughese currently serves on the board of the Pittsburgh Entrepreneurs Forum (PEF) as Vice President and serves on the board for the Pittsburgh Venture Capital Association’s (PVCA) Under 40 Emerging Leadership Board (ELB). In her spare time, she also volunteers as a mentor at the Center for Women Pittsburgh to help women in need by providing guidance, helping to develop effective job searching capabilities, and helping to build confidence and necessary skills for their next personal endeavor. She brings a blend of a strong biomedical background and technology management. Prior to joining the PLSG in 2014, Ms. Varughese worked as a Regulatory and Quality Associate for an early-stage, next-generation cancer diagnostics company to assist them with regulatory strategy and their product development process. She has also worked as a biomedical engineer at the Fujairah Hospital (Gulf Drug Est.) affiliated with the Ministry of Health, United Arab Emirates. She holds a Master of Science degree in Biomedical Engineering from Drexel University, Philadelphia and a BE in Biomedical Engineering from the University of Calicut, India. Alan West re-joined PLSG in 2017 as a Resident Entrepreneur following a successful career as CEO of Carmell Therapeutics, a PLSG portfolio company. He served as an EIR at the PLSG from 2005 to 2009, working with over 40 entrepreneurs and start-ups. 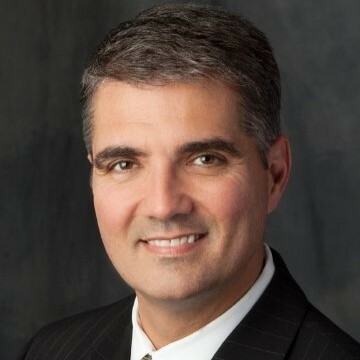 He has more than 25 years of experience in managing medical device start-up companies with a track record that includes both large and small companies, including Johnson & Johnson, Advanced Mechanical Technologies, Boston Scientific Corporation (Microvasive), Vision Sciences Inc. (endoscopy company), and Assurance Medical Inc.(surgical oncology company). 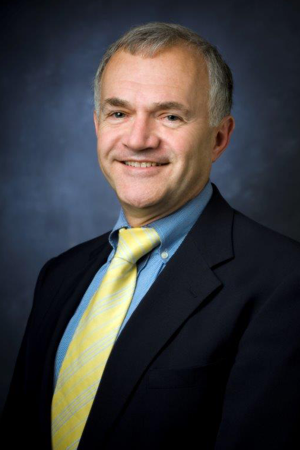 He was VP of R&D at Boston Scientific prior to their successful IPO, has a broad technical and business background, and has developed and marketed products in the radiology, cardiology, vascular surgery, dermatology, neurosurgery, gastroenterology, oncology, general surgery, sports medicine, and orthopedic markets. In his career, he has raised more than $50M through private and public offerings and holds numerous patents and has published articles in scientific, medical, and history journals. Mr. West also gained experience in technology-based economic development, company commercialization, and incubator management at the Michigan Tech SmartZone, where he was founder and CEO. He holds a bachelor’s degree in Mechanical Engineering from Brown University and a master’s in Design from Tufts University. Tim Bosse is the Senior Vice President, Talent Solutions for System One. He is responsible for developing strategic talent and workforce solutions across System One’s 1,000+ clients and expanding the offering to new organizations. System One’s Talent Solutions include Recruitment Process Outsourcing (RPO), On-Demand Recruitment, Recruitment-as-a-Service (RasS) and Recruitment Optimization. Tim has worked in the staffing and workforce solutions industry for the past 26 years in functional roles such as sales, recruiting, operations and senior management. The primary industry sectors have been healthcare, information technology, pharmaceutical and energy/utilities. Tim has deep expertise within talent acquisition, contingent labor solutions, workforce management programs, RPO and VMS/MSP design and implementation. During the period from November, 2014 through January, 2018 Tim launched three separate healthcare staffing and workforce services companies called 24/7 Search Group, 1218 Search and Planet Healthcare. Tim rejoined his former colleagues within System One in March 2012 to rebuild the Healthcare and Scientific practice with complete oversight of strategic growth, service delivery and operations. Services include contract and permanent placement recruitment, laboratory equipment services and regulatory compliance consulting. In August 2009 Tim was recruited to build Mastech Healthcare which was a subsidiary of Mastech. He was responsible for the overall launch and strategic direction which included the acquisition of Curastat Healthcare. Lines of staffing included per diem nursing, allied health, behavioral health, and national travel nursing. Tim worked from 1999 through 2009 for Hudson (formerly TMP Worldwide and Monster.com). His Hudson career started in North Carolina and progressed to California, Pennsylvania and Illinois. In 2004, Tim became the Executive Vice President, Energy and Scientific until 2006 when he took the role of the Executive Vice President, IT and Telecommunications until 2009. Prior to Hudson, Tim worked from 1997-1999 as the Director of Private Duty Services at Mt. Washington Pediatric Hospital where he was responsible for multiple home healthcare operations. Tim started his career in 1992 at Maxim Healthcare Services and held positions within recruiting, sales and operations. Tim holds a Master of Science degree in Management from the University of Maryland and a Bachelor’s degree from the University of Maryland – Baltimore in Healthcare Administration. Jim “Oz” Osborn is the architect of “Health IT Pittsburgh”, the Pittsburgh Life Sciences Greenhouse’s initiative to grow companies and jobs in health information technology in Western Pennsylvania. 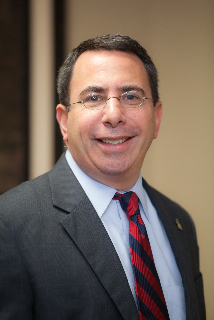 As a consultant to the Jewish Healthcare Foundation, he led development of its “Virtual Senior Academy,” a program to connect older adults to each other through online group learning experiences. Prior to that, he co-founded and served as Executive Director of the Quality of Life Technology (QoLT) Center at Carnegie Mellon University, which created intelligent systems to improve and enhance everyday living for older adults and people with disabilities. He also served as CMU’s Coordinator of University Life Science Initiatives from 2004 to 2015. From 2001 to 2006 he was Executive Director of CMU’s Medical Robotics Technology Center, as well as MERITS of Pittsburgh, a program that fostered collaborations between clinical and technological researchers. Earlier, he founded a regional economic development group, the Pittsburgh Robotics Initiative. He held research and management positions in Carnegie Mellon’s Robotics Institute and led several multi-$M robotics R&D projects sponsored by the US DOE, NASA and industry, including the first robot to explore an active volcano and robots for investigation of the Chernobyl and Three Mile Island nuclear accidents. He has worked as a consultant, advisor or director for local and national organizations including the Western PA HIMSS Chapter, Community Living and Support Services, Presbyterian Seniorcare, Fine Art Miracles, the Center for Aging Services Technologies and the American Nuclear Society. He holds a Bachelor’s degree in Electrical and Biomedical Engineering and a Master’s degree in Civil and Biomedical Engineering, both from Carnegie Mellon. Christopher is Founder/CEO of ToolKit, a sales and marketing firm helping companies achieve significant results in digital transformation and business development. He is also the CMO at Building Bridges for Business, and host of the popular educational broadcast show “Coffee With…™” on CBS affiliates. Leveraging 20 years of executive leadership in award-winning branding, business development, sales, and sales management in the IT space, Christopher’s clients have included Arconic, BMW, Children’s Hospital of Pittsburgh, Covestro, GE, Toyota, and many other industry leaders. His deep software background includes experience with enterprise software packages, CRM, custom software, systems integration, mobile/tablet application development, staff augmentation and executive search. Christopher was co-founder of CRM startup Blue Hammock, and founding member of RPOworldwide, a recruitment process startup. Christopher has held senior leadership roles at Savvior, iGATE, Mastech Digital, and PNC. Christopher is Venture Partner to the Pittsburgh Life Sciences Greenhouse (PLSG), adviser to the Pittsburgh Venture Capital Association (PVCA), a founding member of the Pittsburgh Entrepreneurs Forum, and former Chair of Sponsorship/Membership for BlueTree Allied Angels. He serves as an adviser to a number of early-stage and emerging market companies throughout Western Pennsylvania. Christopher earned a BS Political Science from Duquesne University. 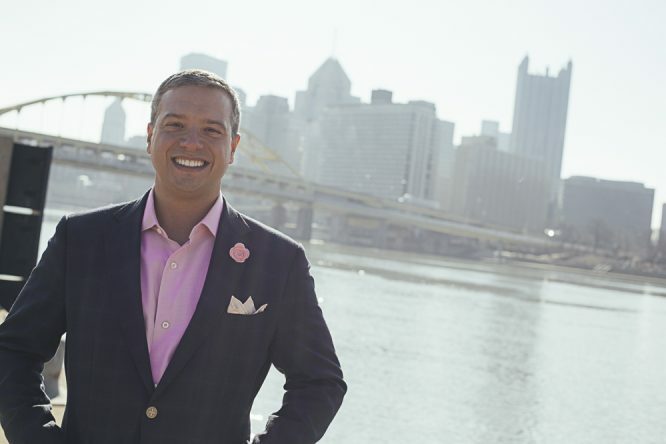 Samuel Straface joined Medrobotics in 2009 after serving as an Executive-in-Residence at the Pittsburgh Life Sciences Greenhouse, where he led a portfolio of life sciences companies with business formation, development, and financing in biotech, Healthcare IT, and medical devices. Previously, he was the founding President and Chief Executive Officer of Triton BioSystems, Inc. (now Aduro BioTech, Inc.), a targeted nanobiotechnology company developing low side effect, highly selective therapies for advanced cancers such as head and neck, breast, and prostate cancers. He directed the company’s R&D, as well as its financial, legal, and business affairs, investor relations, and strategic direction and orchestrated several partnerships with biotech and biomaterials manufacturers. He has more than 20 years of experience in global sales, marketing, business development, venture financing, and general management at several companies, including Boston Scientific Corporation (NYSE: BSX) and Johnson & Johnson (NYSE: JNJ). He began his career as a Scientific Officer, researching the neurophysiology of the retina and methods for early diagnosis of neuronal disease. He holds a PhD in Neurophysiology from the University of Western Australia and has published articles in his previous field of research. Founder and former Chief Executive Officer, Precision Therapeutics, Inc.